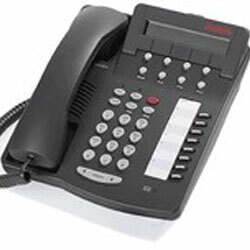 Cortelco 8780 Analog single line set with caller ID, speaker phone, redial, hold button, call log and message waiting light. 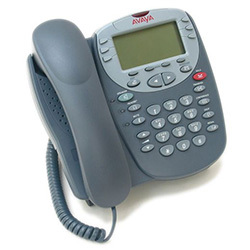 Avaya 2410 Digital 8-button set with multiple incoming and outgoing lines. Has a digital display, 2-way speaker phone and message waiting light. 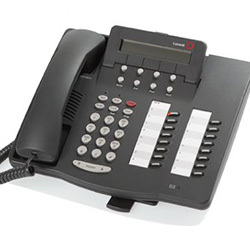 Fixed feature buttons include transfer, hold, conference, call log and headset button. Digital 16-button set with multiple incoming and outgoing lines. Has a digital display, 2-way speaker phone and message waiting light. Fixed feature buttons include transfer, hold, and conference button. IP 8-button set with multiple incoming and outgoing lines. 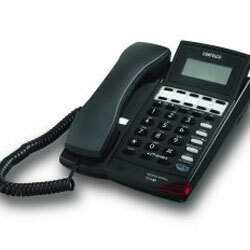 Has a color display, 2-way full duplex speaker phone and message waiting light. 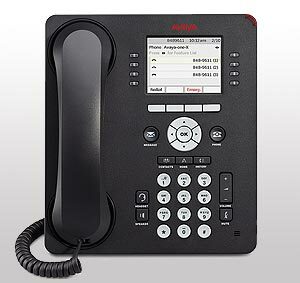 Fixed feature buttons include transfer, hold, conference, contacts, home, history, message, headset and phone buttons. Built-in two port Ethernet (10/100/1000 Mbps) switch for connection to LAN and collocated PC/laptop.